« My Memorial day blogs of the differences between male and female came true at yesterday’s barbecue. 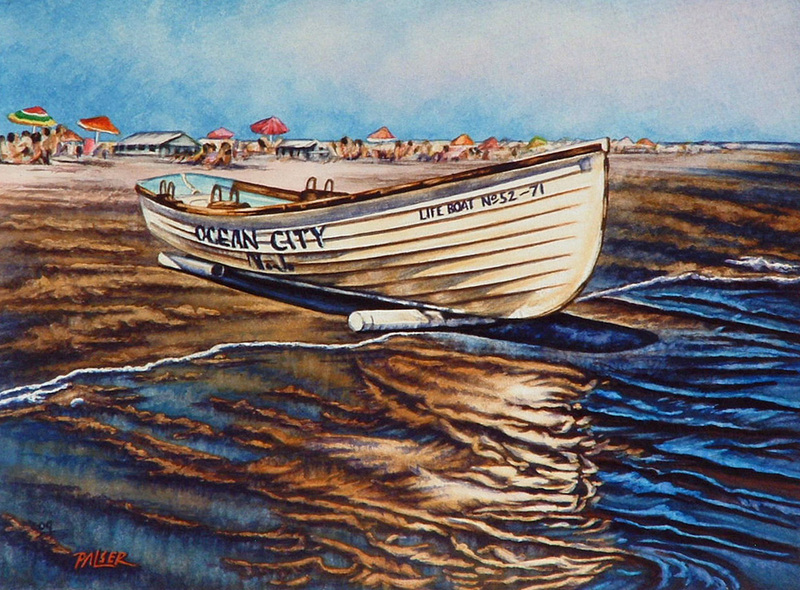 This painting, “Lifeboat Reflection”, will be on display at the Rittenhouse Square Fine Art Show this upcoming Friday-Sunday, June 3-5. The show is held in the heart of downtown Philadelphia around the perimeter of the Rittenhouse Square Park, hours are Fri. & Sat., 11-7 and Sun. 11-5. This is the oldest outdoor art show of its kind in the country, still exhibiting original works of art, in the varied media of oils, acrylics, pastels, watercolors, etchings, sculptures and mixed media. Artists come from all over the United States to exhibit and sell their original masterpieces, so please come out and enjoy your day at the park, meet the artists and buy the next masterpiece of art. Remember “Art” is one of your investments that appreciates with time!